What's a domestic diva's favorite time of year? Christmas, of course. It's right up our alley. The decorating! The crafts! Making gifts, baking, wrapping presents that are so beautiful that the recipients don't want to open them. Just between us, the holidays bring out the domestic diva in everyone. Really. Even people who claim to be anti-divas get into the act. Take my best friend and across the street neighbor, Nina Reid Norwood. She's been known to order in take-out and put it in pans so her monster-in-law will think she cooked. Yet I saw her hanging a stunning wreath on her front door. And as if that wasn't enough, she surrounded the door with a gorgeous garland of evergreens twined with a rich red and gold ribbon. Francie, my next door neighbor, is likely to snarl "bah, humbug" at Natasha. (Okay, who wouldn't? Natasha can be a pain.) But Francie is baking her favorite Christmas cookies to bring to the neighborhood cookie swap. She's not into baking at all. Gardening is Francie's thing, which explains the pine swags on her stoop that are decorated with bright red berries from her backyard. Natasha spends the holiday season criticizing, er, helping, everyone on the block by improving what they've done. Seriously? She wound a mud brown garland up her front stairs and accented it with glittery black feathers. Halloween, anyone? In a couple of days I'll be heading down to my parents' house for Christmas. We take turns hosting the big family event. I thought my brother and sister-in-law might never be willing to host Christmas again after what happened to them! 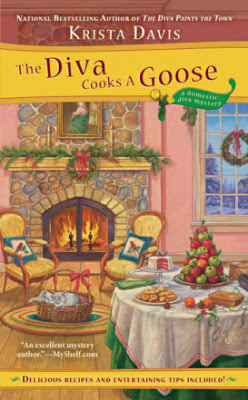 You can read all about it in THE DIVA COOKS A GOOSE. I'm the one hosting Christmas next year, and I can't wait! No matter how you celebrate or decorate, I wish you a merry and bright Christmas! And now I'm off to bake cookies for the neighborhood swap. Krista wanted me to mention that she's having a Christmas cookie contest. 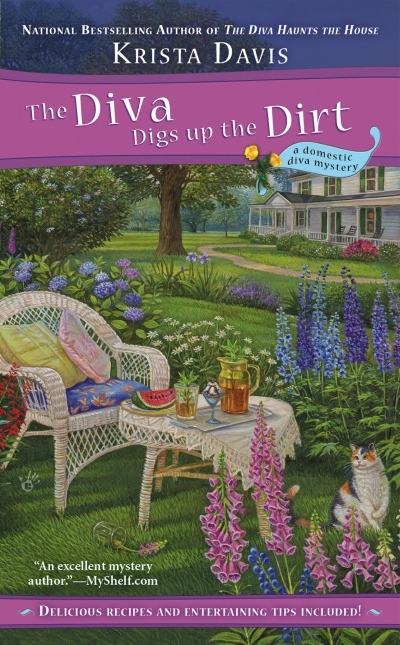 The winning recipes will be published in the 2014 Domestic Diva Mystery! Preference will be given to recipes handed down in families. If there's a story behind the recipe, she'd love to hear it. If it's from a cookbook, please include the title and the author. If it's from a website, please include a link. Send your recipe to Krista at KristaDavis dot com . Which brings me to the question of the day: What's your favorite Christmas cookie or bar? For the Have a Cozy Christmas Contest Krista is giving away books to two lucky winners today. Your choice of THE DIVA COOKS A GOOSE or THE DIVA DIGS UP THE DIRT! To enter, leave a comment today and check back tomorrow to see if you won! Hmmm. I love all kinds of cookies, but the ones that say Christmas to me (aside from the store bought Jingles) are my mom's Kris Kringles. Yummm. They're cut out cookies with colored sugar on top. Anything chocolate will do for me! Its so hard to pick my favorite-any thing with chocolate is always a good choice. But I would also have to say frosted cut out sugar cookies since its the only time of the year a person makes the effort to make them. My grandmother used to make Anise Cookies drizzled with white icing, which were wonderful....crisp with that slight hint of licorice. 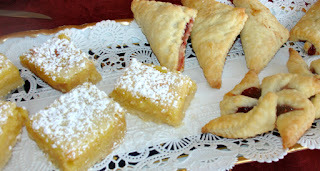 I have the recipe but they are just not the same (back then she used to buy anise oil from the pharmacy!). At Christmas I love sugar cookies cut out with Chrstmas cookie cutters--and of course the non-Christmas cutter of the dog. The dog has been around for as long as I can remember so he is part of the Christmas tradition too. I never met a Christmas cookie I didn't like so this is hard. I have to say the I know it is Christmas once I have had my first Russian Tea Cake. I also love old fashioned oatmeal lace cookies. I a, so looking forward to finding out what Sophie has been up too! Gingerbread! I only make them at Christmas because I can't be trusted. In fact, I can't even be trusted to not eat them without decorating them. Our Aunt Emma's butter cookies with a sliver of pecan on top. Yum! We make these every year. Chocolate chip cookies. Happy Holidays. Thanks for having this contest. I love holiday baking. My favorites are lemon bars and ginger cookies. But my family usually wants chocolate chip - their favorite any time of the year! All the boys say I'm their favorite cookie. Does that count? Russian Tea Cakes get my vote. My Grandmother's cut outs. She had a way of making frosting that no one in the family has ever been able to replicate. My poor husband tries and tries but since he never had one of her cookies (she passed away before he and I started dating), he can't quite get it right. On a brighter note, this is one of my favorite cozy series! Spritz cookies have always been my favorites. I haven't made them in a long time because I eat way too many of them when I have them around. My husband loves them also, but he got his cookie fix at our church's bake sale so he is good to go. I love Christmas Cookie Time!! When my kids were small, we had a special day just for cookie baking and decorating!! Sugar cookies were the most fun! My children decorated each one, then we gave cookies to all the neighbors! A very special time for me. Then it took me two days to clean it all up. I MISS those days so much!!! Oooh, Sophie, love all the cookie pictures. I still love my grandmother's sugar cookie the best. One of my favorite cookies is called a jello cookie. It is kind of like a sugar cookie and very easy to make. Thank you for the chance to win. I just wanted to leave a comment because The Diva is in my top 3 favorite Cozy series list. I already have both of these books so don't need to try and win but I hope to read more from Sophie, Natasha, Mars and Nina for years to come. Merry Christmas! I love cookies especially cookies with chocolate in them. Also, recently I read "The Diva Haunts the House" and I enjoyed it a lot. Would love to win either book. Spritz are my favorite - and I love all the rest, too! I love the thin, crisp, Scandinavian ginger cookies. Anything with powdered sugar on it is at the top of my list. I would not refuse anything with chocolate - white, chips, etc. Nuts are a plus. Cookie dough is not bad either. I guess any cookies except those with anchovies or coconut, although both I hear are healthy foods. Would love to win one of these books as they sounds delightful. Russian tea cookies or snickerdoodles are my favorites. 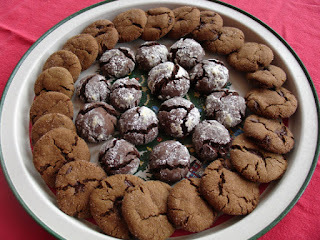 Ohhh, let me see, chocolate chip, chocolate crinkles, soft sugar cookies, I could go on and on, lol. Merry Christmas to all. 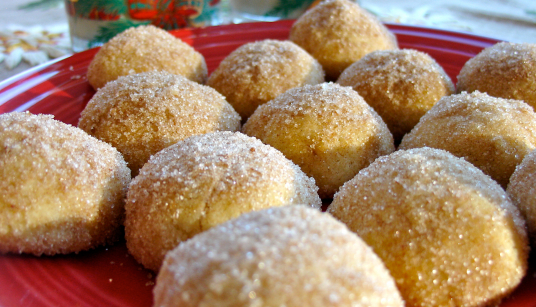 I love buttery "snowball" or wedding cookies. They're covered in so much powdered sugar you can't sneak one without wearing the evidence! Buckeyes. My mom's side of the family if from Ohio so it is a family tradition that we make every year! I love making Gingerbread men with different faces. And since I love gingerbread, I have to watch myself or I will eat them until I am sick! My favorite cookies are the icebox cookies my mon made for years. I miss her baking but am trying to keep up the traditions myself. Sophie, I love you (and your hints). The favorite local cookie is the sandtart. I never heard of one until after I married and moved to Pennsylvania with my husband. It soon became one of my favorites - to eat, not to bake because it requires strong arm muscles for rolling the chilled dough to almost paper thinness before decorating with colored sugar, chopped peanuts, and cinnamon. I am a cookie lover, so anything I am offered is fine with me. I never met a piece of sugar I did not like. My favorite cookie to eat at this time of year is a pumpkin bar with cream cheese frosting on them. Yummy and of course, peanut butter cookies with Hershey's kisses on top. I love Russian tea cakes and it seems they can only be found this time of year. snickerdoodles!!!!! i need to find a coffee shop around here that makes a snickerdoodle latte. I do love chocolate/chocolate chip. Let's see, there are so many treats to choose from. I love peanut butter blossoms, chocolate chip cookies and those treats that are made out of corn flakes and peanut butter, not sure what they are called. Everything is so good. Would love to win these books! Cookies are one of the things I look forward to most during the holidays! 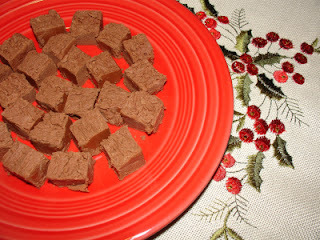 My Moms gingerbread, homemade and the receipe is from old New England handed down from the 1600's! Its divine intervenion in every bite. Have a beauitful Xmas, looking forward to reading this book. We just tried out a new recepie at my house ~ I made regular ole chocolate chip (which were my favorite) and I just added some dried tart cherries - they turned out yummy! Almost like a chocolate covered cherry in coookie form! Anything with chocolate. But a friend gave me some yummy cookies with hazelnuts. OK, I like all of them. Sugar cookies are my favorite especially with the frosting. My grandmother used to make them every year and it brings back great memories for me. This is my third try. Anything with chocolate. Thank you for the kind things so many of you have said about Sophie and the domestic divas. What a great assortment of favorite Christmas cookies! I hope some of you will send your recipes to me for the Christmas cookie contest! Sugar cookies without any question. My mom's Christmas cut out cookies were the best. My mom's Christmas cut out cookies are to die for.